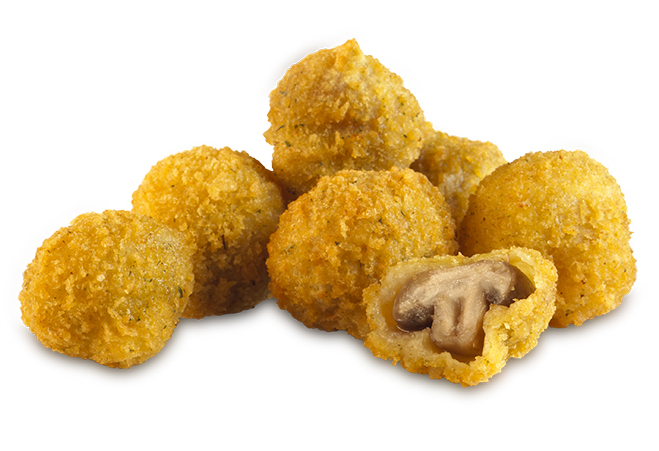 Rich buttery white button mushrooms breaded in a crunchy breading. 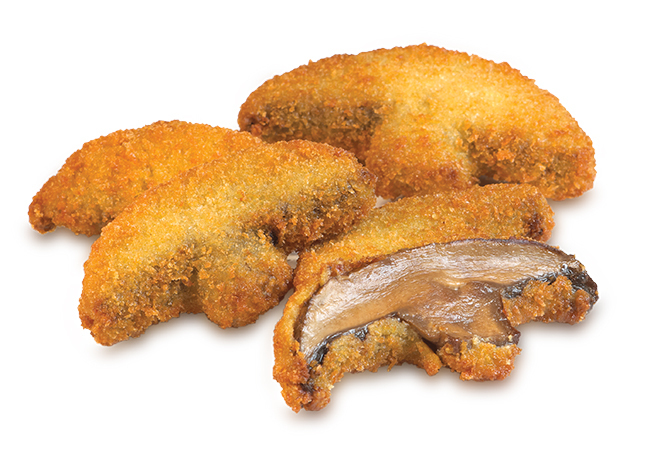 Thick slices of Portabella mushrooms breaded in a lightly seasoned breading. 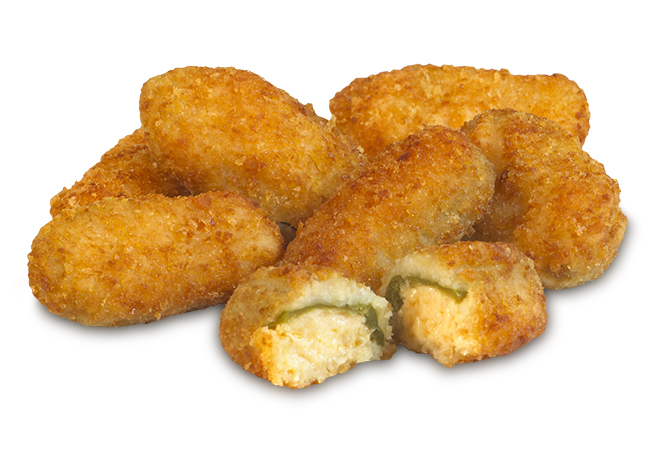 Creamy cheddar cheese, hand stuffed into a medium green jalapeño surrounded by a tasty breading. 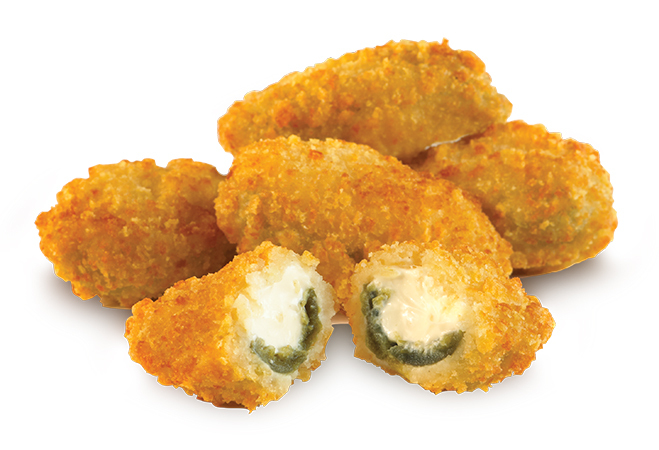 Real cream cheese hand stuffed into a medium green jalapeño surrounded by a tasty breading.